Middle-aged women with an under-recognized condition affecting the legs may be at higher risk of developing high blood pressure, according to the results of a new study. Restless Legs Syndrome (RLS) is an often unpleasant condition characterized by intense pain in the legs and an inability to keep the legs still, especially at night. It may affect up to 15 percent of adults, often interfering with sleep and causing daytime drowsiness. Patients with RLS may experience involuntary shaking, jerking and kicking of the legs, even while asleep. According to a report in Hypertension: Journal of the American Heart Association, women who experienced more than 15 episodes of RLS each month developed hypertension at a rate of 33 percent. Women in the study with five to 14 incidences of RLS each month developed hypertension at a rate of 26 percent. Subjects with no RLS had a 21.4 percent incidence of hypertension. "If future prospective research confirms this association, then early diagnosis and treatment of RLS might help prevent hypertension," said Salma Batool-Anwar, M.D., M.P.H., the study's first author, and an instructor in medicine at Harvard Medical School in Boston, Massachusetts. Simply prescribing iron supplements may be sufficient to prevent RLS, says Batool-Anwar. 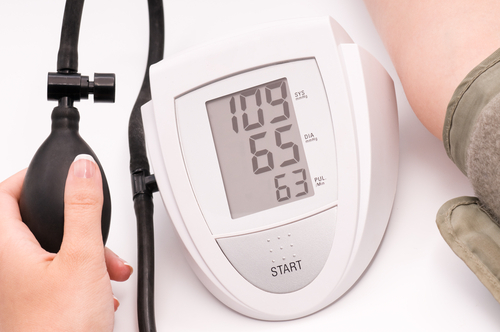 Researchers also determined that severity of symptoms is significantly linked to high blood pressure. Similarly, frequency of RLS episodes was also associated with higher systolic and diastolic blood pressure readings. The relationships were independent of other potential confounding variables, such as age, body mass index, smoking status, and presence of stroke or heart attack. The study was based on information gathered from more than 77,000 women who have participated in the Nurses Health Study II. Previous studies have shown a similar link between RLS and hypertension in men.